There are many reasons that you may need to build a new wood screen for your home. Many older homes might be missing the frames, or they might just be beyond repair. Constructing a wood screen frame is not complicated. Paint all wood used on a wood screen frame to prevent the wood from rotting. According to CommercialWindows.ume.edu, the thicker the wood used, the better the insulation the wood screen frame provides. Measure the inside diameter of the window vertically and horizontally using a tape measure. Measure the two stiles, or side pieces, to the same height as the window measurement on the wood. For example, if the window is 69 inches tall the stiles will also need to be 69 inches tall. Subtract the width of the material used to fit the top and bottom pieces on the inside of the stiles. This will calculate the measurement for the top and bottom pieces of the frame you need. For example, if the window opening measures 30 inches wide and the material used for the stiles measures 2 inches wide, subtract 2 inches for each stile, leaving you with a 26-inch piece on the top and bottom. Cut pieces to size. Paint the cut pieces using an exterior paint to seal the wood from weathering. Allow the wood to dry. Painting the wood before you apply the screen is a great deal easier than trying to paint the wood after. According to Michigan State University, paint is a common wood coating, and provides the most protection to the wood. Lay your four cut pieces on a flat surface with the two stiles on each side and the top and bottom pieces flush and square with the ends of the stiles. Use a carpenter's square to square each corner of the wooden frame. Attach the frame brackets on all four corners of the frame using a power drill and ½-inch screws. Screw four screws on each side of the frame brackets. You will use eight screws for each corner. Square each corner with a carpenter's square as you install the frame brackets. Attach the screen to the back of the frame with a staple gun. Start at the top of the frame, and staple the screen across the entire top of the frame while pulling the screen tight. Roll the screen out covering the entire frame. Pull the screen tight at the bottom and staple it to the frame. Staple the side sections last, pulling the sides tight. Trim any extra screen using a razor knife. 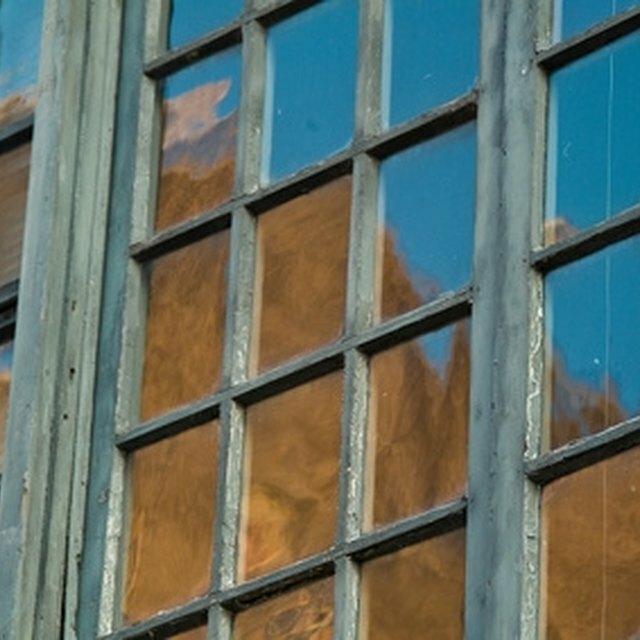 What Are the Parts of a Window Frame?